Today’s post is an interview with our talented new intern, Heather Stuyverson. 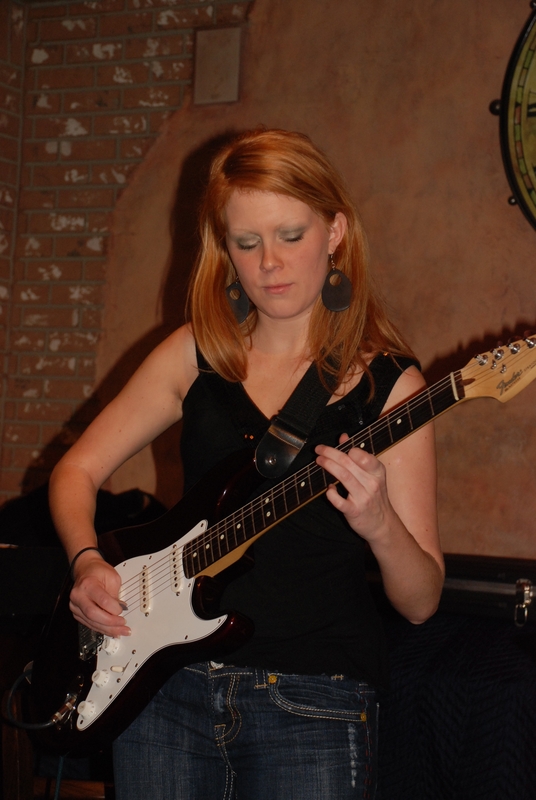 Heather is pursuing a Master’s degree in arts administration at the Florida State University College of Music. Why did Heather choose an arts administration career? Read on to find out. How long have you been involved in arts and culture? The arts have been a part of my life ever since I was in my mother’s womb. My mother –a ballet teacher 30 years of her life– taught dance while she was pregnant with me. At three years old my mother put me in dance classes and my experience with the arts began. I continued to dance throughout my childhood, but it was until I was seven I discovered my true artistic passion, music. The instrument that drew me to music was the guitar. Throughout my life I have played various genres on the guitar, but I mainly focused on studying the genres of classical and jazz guitar during my studies as an undergraduate at The Florida State University College of Music. In 2006, after completing a Bachelors of Arts in Commercial Music, I worked at a prominent studio in Nashville, TN and had an amazing experience in learning the process of the music industry. Four years later, I decided to return to FSU to pursue a Masters in Arts Administration and to dedicate my career to working for non-profit arts organizations. Today my continued involvement with the arts includes completing my masters degree, serving as the house manager for all of the Florida State University School of Dance performances, serving on FSU’s Friends of Dance board, working at the FSU College of Music Admissions office, working as an intern for the Division of Cultural affairs, teaching guitar to seven private students, and performing around town as a guitarist in various settings. Why have you chosen arts administration as a career path? The arts have helped shape me into the person I am today. Whether it is an undeniable musical progression, a dance sequence, or a color scheme in a painting, the arts strike a chord within my soul. They have impacted me to not only see life from different perspectives but they have also enhanced and broadened my views on life. In today’s culture, it seems to me that popular artists are reaching their audiences in ways that other artists are not. I think there is somewhat of an emotional disconnect occurring within our culture in regards to specific art forms. In light this disconnect, I chose to pursue a career in arts administration first because of my passion for the arts, and second because of my desire to broaden the arts audience. What do you think arts and culture contribute to Florida? The arts and culture industry contribute to the State of Florida both intrinsically and extrinsically. I often think about how our world is painted in color and not black and white. There is an indisputable beauty that surrounds us everyday in the nature of our world. I believe arts and culture only enhance that beauty of our world and furthermore our state. They help us identify who we are as individuals and who we are as Floridians. The arts and culture help bring communities together and are monumental in the education of our children. It’s also important for business-minded individuals to see how arts and culture contribute to Florida’s economy. The question is often raised, “Why should we invest in the arts over investing in something more practical?” It has been researched and proven that for every $1 that is invested in the arts, $5 is invested back into the economy of Florida. That is a 500% return on investment! As well, the arts and culture industry in Florida is the third largest industry in our state. Thus arts and culture are creating jobs and furthermore attracting tourists to Florida. What is the single greatest contribution of arts and culture to your community? Although Tallahassee is considered a small town compared to some of Florida’s more metropolitan areas, we still have a wealth of amazing local arts organizations, universities who are known for the arts and an incredible local arts agency. As a Tallahassee-born-and-raised girl, I have seen how the arts and culture build relationships right here in this community. I believe that’s the single greatest contribution. The arts bring people together and they unify community members under one purpose. Relationships between art teachers and students, community chorus members, fellow actors in a play, just to name a few, are invaluable and only strengthen a community. Who’s your favorite artist or musician? How could I choose just one? The musicians that have been the most influential to me as an artist are Ana Vidovic (classical guitarist), Pat Metheny (jazz guitarist), Alex Fox (flamenco guitarist), Dianna Krall (jazz artist) and Alison Krauss (as an all-around musician). This entry was posted in Cultural Conversation and tagged arts administration, culture builds florida, florida division of cultural affairs, florida state university, florida state university college of music, guitar, heather stuyverson by culturebuildsflorida. Bookmark the permalink. I think there is somewhat of an emotional disconnect occurring within our culture in regards to specific art forms.